Meet Tuppence the Chihuahua. She has a lot to say about fundraising. And other stuff. 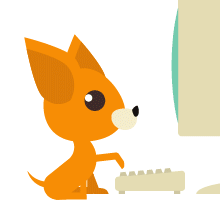 Tuppence the Chihuahua is an expert on fundraising and serves full-time as the mascot for the GivingTools online fundraising platform. When she is not busy doing her own stunts for a variety of exciting animations, Tuppence enjoys writing, long untethered walks along the beach, frightening kittens with her assertive bark, and nibbling on Smartreats™ brand dog biscuits. I used to forget to bring my checkbook to church, but thanks to GivingTools online giving, I set up a recurring weekly pledge payment. It was so easy! I even connected it to my checking account, so the processing fee is just a quarter. AND I even clicked to cover the fee! I’m a real saint. But in church, I am embarrassed to pass the plate without putting anything in it. People are looking at me in not-so-Christian ways. I’m ashamed. Help. Don’t fret, Mary! El chihuahua to the rescue! First off, you are doing great. Online giving is an awesome way for churches to reduce missed pledge payments. No need to remember a check, and the payment gets to church—even if you don’t (heavens). But there’s a catch. What do online givers do when the plate is passed? After all, this is a symbolic moment of offering, and passing a plate around the church half-empty might be a bit of a let-down (even if it does enable more, actual giving). We’ve pondered this problem here at GivingTools, and we’ve formulated a solution that will enable givers like you to physically give, while also promoting your church’s online giving program. The idea is to create beautiful online giving tokens. Here’s how to make and use them. First, download this “I Gave Online” logo design. We created it to fit nicely on a wooden nickel. Click here to download the design as a full-resolution .pdf file. Get a self-inking rubber stamp that uses the design. We’ve tested out one company that did an excellent job, Rubber Stamp Champ. Here is a link to that company’s order page. You want the Ideal 310R Self-Inking Round Stamp, which is a 1-1/4” round stamp. We got ours in black for about $30. Second, get some 1-1/2” “wooden circles” on Amazon (or anyplace…crafts stores often have them). You only need as many as the number of online givers who may be in church at one time. We got ours here. Stamp one or both sides of the nickels. It is actually pretty easy, the ink dries quickly, and the image made by the stamp is crisp and clear. You can use them just like that, or if you are particularly handy, coat them with some varnish for gloss and extra durability. Now, you have your own online giving tokens! Next, get a nice basket to display your tokens. If you wish, reprint that token stamp on a piece of paper and glue it to a piece of cardboard and adhere it to the basket, for a coordinated presentation. (Or go ahead and hand-embroider it, if you have the time, Mary.) Place a basket at each entry to your church. Use that logo again to accompany an announcement of the “I Gave Online” campaign. Drop an announcement (with that logo) into the church bulletin. Put it on posters. Pay a local blimp company to…well, you get the idea. In your copy, instruct online givers to pick a token on their way into church and to drop it in the offering plate. Simple as that. Be sure to also email your existing online givers, so they are absolutely sure to know to look for the baskets. As you can see, this program allows online givers to give something physical each week. It also is a reminder to non-online-givers that online giving is an option they might wish to consider. Good luck, Mary. Now, pass that plate with pride! I love GivingTools and its ability to easily solicit funds for my nonprofit. However, I find that I am constantly asking for people to give money to this appeal or that appeal. Our needs are ongoing. Is there some way to build a dependable base of support? Great question, James. As it so happens, there is! One of the great things about GivingTools is how darned many appeal types the system offers. Sure, there’s the “Quick Appeal” which enables you to collect one-time and recurring gifts. Everybody loves that one. But the other appeal types do special things, for particular purposes. I would encourage you to consider setting up a Sustaining Supporter appeal. A Sustaining Supporter appeal enables you to build a core group of supporters that agrees to provide ongoing support for an indefinite period. You can set up the amount they need to give, or you can let them choose whatever they wish. But the key is, once they sign up, they keep giving until they choose to cancel. Set a goal of the number of Sustaining Supporters you would like in the program. Measure participation versus amount pledged or raised. Encourage as many people as possible to give in this way. And if they feel inspired to support particular appeals throughout the year on top of this, wonderful. Imagine if all your supporters gave just $5 per week. $260 per donor, per year. This is a great way to start getting committed or to just provide a dependable boost to your nonprofit. We’ve even seen this appeal type used to sponsor overseas kids on an ongoing basis. GivingTools makes it quick and easy. And the expense is really small, thanks to the low expenses GivingTools charges. With our no-charge Stripe and PayPal integrations plus our flat-rate 25¢ ACH, GivingTools online giving costs far less than other systems out there. And you can even allow donors to pay the fee themselves. Enjoy your growing base of support, James! It seems like every online giving service offers the ability to make recurring gifts. You know, “give $20, would you like to repeat that every month?” That’s all fine and good, but I’m running a capital campaign, and so my needs are different. In a capital campaign, each donor agrees to a campaign pledge, say $2,000, and pays against that pledge in, say monthly payments over a three-year pledge period. Nobody seems to offer functionality that meshes with THAT. Any ideas? Nancy, you really hit the nail on the head with that question! You are right, nobody seems to offer the ability to pay on a pledge over time. That makes most online giving systems, well, incompatible with capital campaigns. GivingTools was built originally to help support capital campaigns, so we have functionality that others don’t. With GivingTools, you can launch what is called a Campaign Pledge appeal. You can set the pledge period and payment frequencies you would like to allow. Donors can then set up a pledge and decide how often they’d like to pay. The system automatically calculates the payments based on the pledge period. The donor can even set the date they would like their payments to begin. This functionality mimics what is traditionally found on a printed capital campaign pledge card, so you can mesh up the options between your online givers and your traditional (check-writing) givers. And here’s a nice twist: because the data is structured in the same way, you can enter your traditional givers into GivingTools and they get an emailed receipt, just as if they paid online. So they can track their giving, and you can track it, too, all in one place. One other thing. Some folks would argue that making major gifts to a capital campaign using an online giving service is a bad idea, due to the expense. While that may be true with many services, because GivingTools charges so little, it makes great sense to accept capital campaign pledges online. With our 25¢ ACH feature, for example, a gift of $500 costs just 25¢ to process. That works out to 5/100ths of a percent! Another feature we have to keep costs down is our “Discourage Credit Cards” feature. With this feature, if a donor chooses to make a pledge using a credit card, the system can intervene, presenting a message you author that encourages the donor to give via ACH instead! But even if the donor gives with a credit card, thanks to our no-charge Stripe and PayPal integrations, you can pay the nonprofit rate of just 2.2%. When you consider that capital campaigns need to often budget 4% for “pledge attrition”, 2.2% looks pretty great! Good luck with your capital campaign, Nancy. And don’t forget that GivingTools can help you with your campaign website, too! I'm not seeing double. But I'd like to. Our nonprofit would like to use a service like Double the Donation to query if a donor’s employer will provide a matching gift. Does GivingTools support this? We sure do! Here’s how it works. In GivingTools, you can select where donors are sent after they complete a checkout. There’s a default page that we can display (with your custom message), or you can enter a URL, for example, to a page of your website that thanks donors. Want to send donors someplace else when they check out? Someplace like…your hosted Double the Donation page? No problem! Just enter a hosted Double the Donation URL in the field instead. Now, your givers will check out like normal, and then they will automatically be sent to you Double the Donation page, encouraging them to seek a corporate matching gift. Simple as that. GivingTools is chock full of pleasant surprises like this. They say I am just a “reasonably smart” chihuahua, but even I can figure this stuff out! Could you give me some help planning my planned giving? A rival nonprofit up the street is always bragging about how much they receive through planned giving. It really makes me mad. I’d like to offer a flyer on planned giving so my donors know what it is. But getting planned giving flyers online appears to cost a fortune, and designing my own, well, I am not a designer. Any ideas? Ideas? Arnold, I just downed five more Startreats™, and I have more ideas than you can possibly IMAGINE. But to focus on your question, it so happens that I DO know where you can get a flyer on online giving. And you can get them inexpensively printed via a printer we work with (if you want). OK, you can download the pdf right here. That design is two-sided and fits on an 11” x 17” sheet. It enables folks to see all the options at one time, clearly summarized by category. Pretty nice! If you know a designer, they can customize it with your logo. Make whatever changes you wish, provided you credit GivingTools, note our copyright, and provide our web address. You are free to print up as many as you would like or to snag the contents and reformat it however you wish, in any medium, again, as long as you include the notice and link so we get a little love. All we need is love, you see. Next, if you would like to get some printed, we’d recommend this place. We’ve done work with this printer before. They print digitally, so can create print low quantities, quickly. And they ship anywhere in the US. They are affordable, too! Ask for Cal! OK, Arnold. Get going. Put those guys up the street to shame! To the gifted go the gifts! Huzzah! My nonprofit is considering a capital campaign. We need to raise $250,000 to renovate our headquarters. Should we just make a brochure with $250,000 as the goal? Esmeralda, first, let me say that I love your name. It is like the purr of a cat, and while I personally detest cats, for some reason, I find your name to be soothing. Perhaps my new dog bed has given me a fresh perspective, as I slept extremely well last night. Many nonprofits struggle with the question of what capital campaign goal is right for them. Strategically, the goal you initially envision may be too high...or it may be TOO LOW. Traditionally, a feasibility study would be a wise step to gauge support from potential donors, create buy-in, and enable you to set a goal (and project scope) that is attainable. A feasibility study tends to increase giving because before being asked for money, people like to be asked their opinion. And that input will help you hone your message and your goal. It is important that you set a goal that is achievable within a 3-5 year pledge period. Traditionally, 80% of your gifts will come from 20% of your givers and 20% will come from the remaining 80% of givers. Knowing what those lead givers will give and asking them for the right amount is helpful. As we say, you want to ask the right person for the right amount at the right time. Otherwise, you might be leaving potential resources on the table. Moreover, people give to people for people...so organizing your endeavor so that peers approach peers for support is more effective than a blanket mailing or email campaign. If you are seeking a substantial sum to launch a major endeavor, a study could help. Professional organization of your approach to reaching your donors helps, too. A professional fundraising consultant with specific experience in conducting capital campaigns to your sort of audience (church/community/regional/etc.) is not an unwise move. You can of course conduct some form of feasibility study yourself. How confident you can be in the results of the study—and the goal it projects—depends on the quality of the study, so keep this in mind. If you choose to just use your best judgement, be sure to pick a goal that is both attainable but also not timid. AND consider soliciting major gifts quietly so that when you announce the effort, you already have 25%+ committed. People like to give to an effort with momentum behind it! GivingTools is unique among online giving systems in that we have an appeal specifically for capital campaigns, called a Campaign Pledge appeal. This appeal type enables donors to enter a campaign pledge and how often they’d like to make payments; the system automatically calculates the payments and bills them on schedule. (This is unlike most systems, which only allow recurring gifts). You can also enter traditional gifts into GivingTools so that donors receive a receipt just like their online giving peers. My boss is telling me we need to add a capital campaign “section” to our nonprofit’s website. But the capital campaign is such a big deal with so many moving parts, I fear it will overwhelm our normal site. Am I being silly, or if I’m right, what should I tell her? Mickey, you speak the truth. Allow me, a humble chihuahua, to arm you for battle with the facts, so that you can make your case to your boss that a capital campaign website is indeed important. I’ll also share the important parts of the campaign website, and tell you how to get one made quickly and inexpensively! The campaign prayer (or mission statement for secular efforts) should be prominently displayed to keep the “real” focus ever-present. You have a number of options. You can try to fit the above in your current website (good luck, my friend). You can build a site from scratch that provides this function (will it be done before the campaign is over?). Or, you can partner with a resource that provides capital campaign websites. GivingTools can provide you with an off-the-shelf solution for capital campaign websites. As far as I know, we are the only resource that offers this particular specialty. Because it is off-the-shelf, it costs a lot less than a fully custom solution. And we can build it quickly. Very quickly. For a single up-front fee (well under $1,000), we take a pdf of your campaign materials and create the entire site in just a few days. We include secure hosting for 3-5 years at no extra cost. And to allow online pledge payments, we just link in your GivingTools online giving account. A dedicated capital campaign website is an oft-overlooked resource that can help maximize the effectiveness of your campaign. Mickey, I hope this gives you what you need to either built this right or have us build it for you. GivingTools makes online giving easy. But don't take our word for it...grab a demo ac- count! Your demo account is prepopulated with all kinds of appeals. Change anything you wish. Add additional managers. View your giving page like a donor. You'll love it!